The law firm of Turner & Waters has a new associate. Jodie Waters has finally worked her way up from Stan's secretary to become a full fledged attorney. 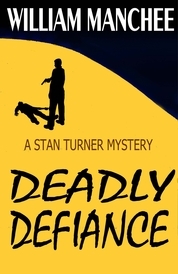 Having great confidence in her abilities, Stan asks her to help him in the investigation of a wrongful death case. A worker in a local sweatshop has died and his family wants the owner, Icaro Melendez to pay for the crime. The problem is the Dallas Police and the FBI have closed out the case for lack of evidence. It seems like a hopeless case, but Stan reluctantly agrees to have Jodie look into it. Jodie, excited to have her first case, boldly launches into an investigation and soon finds herself working undercover as the girlfriend of one of Icaro Melendez' sons. While Jodie and Stan are busy with the Melendez case Paula Waters takes on the defense of a young mother accused of stabbing her husband to death with an ice pick. Paula is ecstactic to get such a high profile case until she finds out her client is broke and this isn't the first time one of Maureen Thompson's husband has been bludgeoned to death with an ice pick. She learns that her client dubbed "the Ice Pick Widow" by the media survived her first murder trial due to a hung jury but wonders if she'll be so lucky this time around.